Algerian freedom fighters battle their French occupiers. Gillo Pontecorvo’s coruscating docu-drama arrives in a freshly minted 4K restoration, which polishes up the visuals while losing none of the moral murkiness and street level adrenal charge. At over 50 years old, we should be looking back at this film with a wearying sigh at how the world used to behave. One hesitates to use that hoary old cliché ‘more relevant now than ever,’ but in an era of extremism and news media either pilloried by governments and/or increasingly financially beleaguered, it is now not only depressingly relevant but also braver and more insightful than most modern day political cinema. All this may give it a whiff of the worthy, which could not be further from the truth. Taking place over three years, this moves like a thriller. Its boots on the ground approach gives it a kinetic energy that gives the film newsreel verisimilitude with the sweat inducing viewpoint of a first person shooter. Its influence is spread over films as diverse as Paul Greengrass’s Bourne films, Saving Private Ryan and Land and Freedom. Tracking insurgents as they battle an occupying French government, it sides with the FLN but still manages to have some sympathy for the French soldiers tasked with the thankless role of policing an indigenous force that don’t want them there. Pontecorvo’s genius is in how the differing viewpoints are addressed. Sympathies are always with the Algerian fighters, but the methods on both sides cause moral vacillation. At the film's beginning, Jean Martin's Colonel is seen using methods of interrogation that are all too familiar for anyone with a passing knowledge of the enhanced interrogation methods used at Guantanamo Bay, methods that birth street level hoodlums into fervent martyrs to the cause, such as Ali (Brahim Haggiag). It posits the idea that although countries can easily overthrow other nations, the battle to maintain peace when dealing with an insurgency that can blend in with the civilian population with the tacit support and approval of its people creates an unwinnable quagmire that results in a Northern Ireland, Iraq and Afghanistan. There is no romanticising of a country's struggle here; this is hardscrabble front-line violence in which action outweighs the moral consequences. The use of women and children to plant bombs resonates today; the fact that they are Muslims may lead to deliberate misinformation. This is a political rather than religious film. The methods used may be difficult to stomach, but the facts are on the side of the Algerian people. 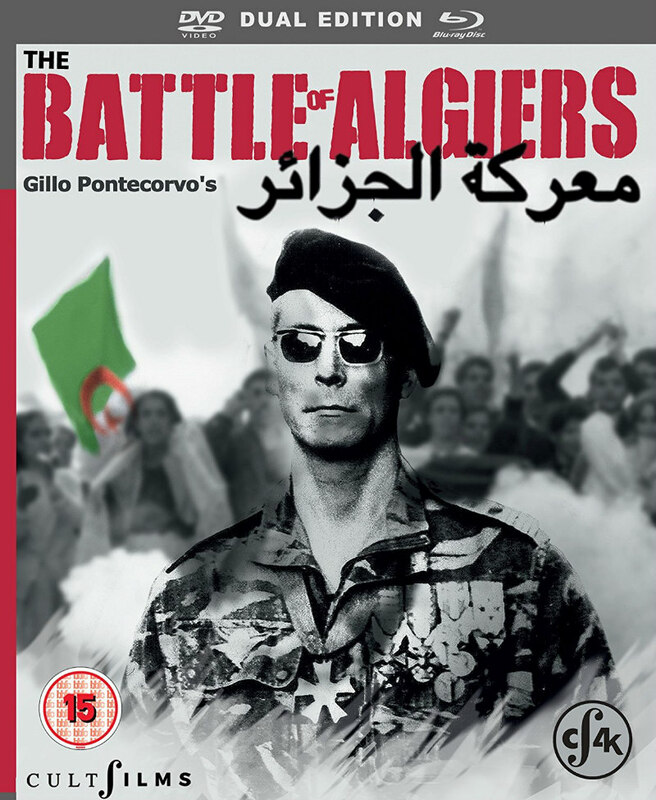 Angry and inspirational, The Battle of Algiers is a film that garnered a reputation for inspiring terrorism, which is unfair; the film is a work from a violent time, and if the anger is justified it shows that no one is unmarked by conflict. Ali may be the lead, but any heroism is smeared with a taste for violence that is not just about doing the right thing. Like Kathryn Bigelow’s Zero Dark Thirty, any attempts at impartiality are always difficult to sustain. Bigelow failed by showing conflict from a purely American perspective, reducing the enemy to a faceless other out to destroy innocents. Pontecorvo may side with the FLN in the main, but at least realises that for all the political maneuvering at government level, it is those on the ground trying to police an unwinnable situation with no vested interest in success that are most at risk. For a film that prizes cinema vérité realism and naturalism, it seems strange that Ennio Morricone produces the music, which has none of the bombast of the Spaghetti Westerns or the operatic grandeur of his later Hollywood films. This is a sparse score that fits in with the bustle and noise of the city streets, one which only resorts to sentiment in the final scenes. Cinema of this power really should be seen on the big screen, but this 4K restoration is the next best thing. Still powerful, still angry, and just as depressingly relevant as the day it was released. Along with a never better transfer comes a host of well-chosen extras including a booklet by Alan O’Leary; a detailed 'making of' with the late Pontecorvo; a detailed documentary on the restoration process; and revealing interviews with FLN fighters Zohra Drif Bitat and Saadi Yacef, who both have major roles in the film (if they seem convincing then that is because they essentially lived the roles they played). Add to the mix sterling interviews from directors Paul Greengrass and Ken Loach, and you have a package worthy of a film of this quality. 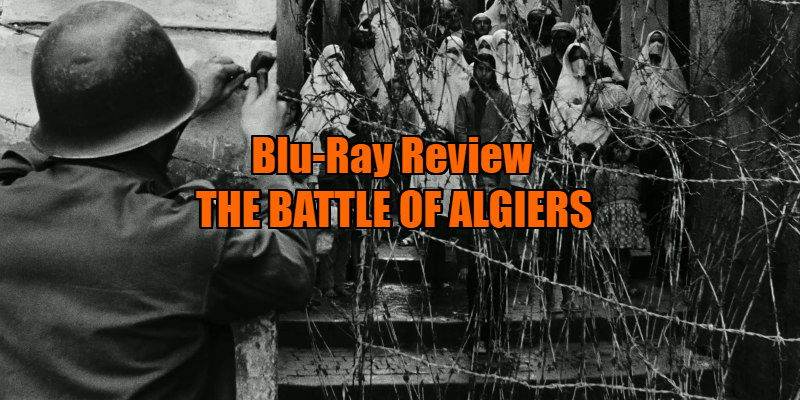 The Battle of Algiers is on dual format blu-ray/DVD now from Cult Films.